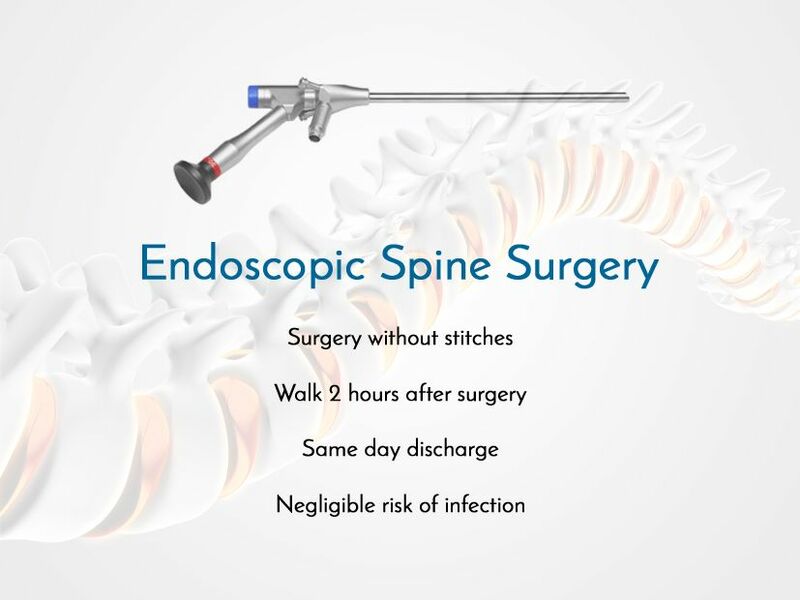 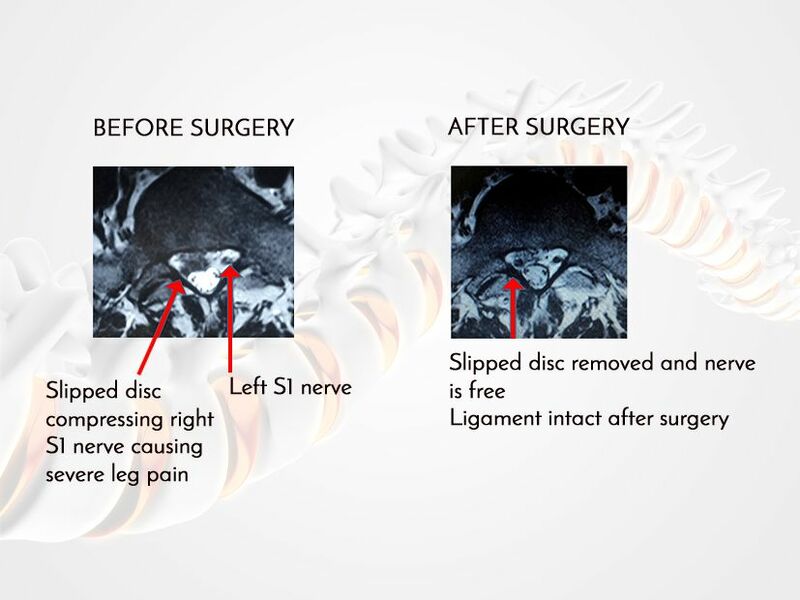 Endoscopic spine surgery is a keyhole surgery mainly used to treat slipped discs. 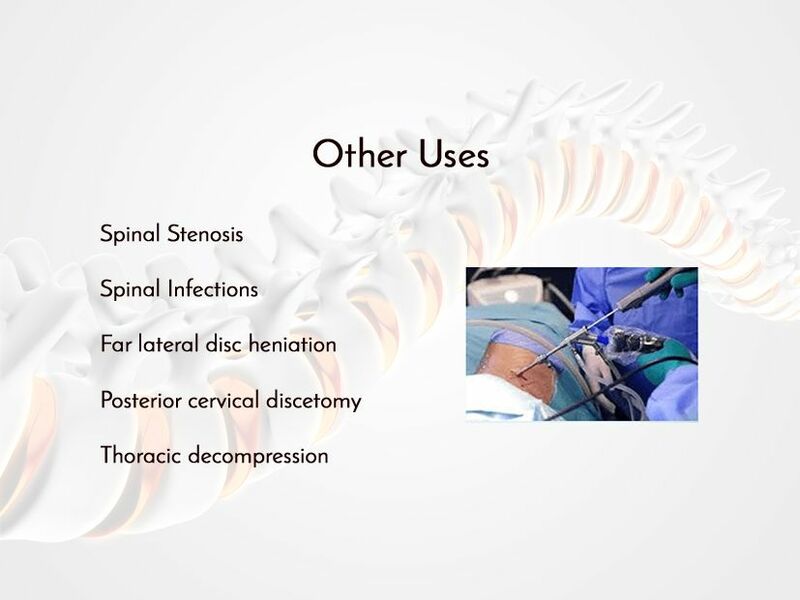 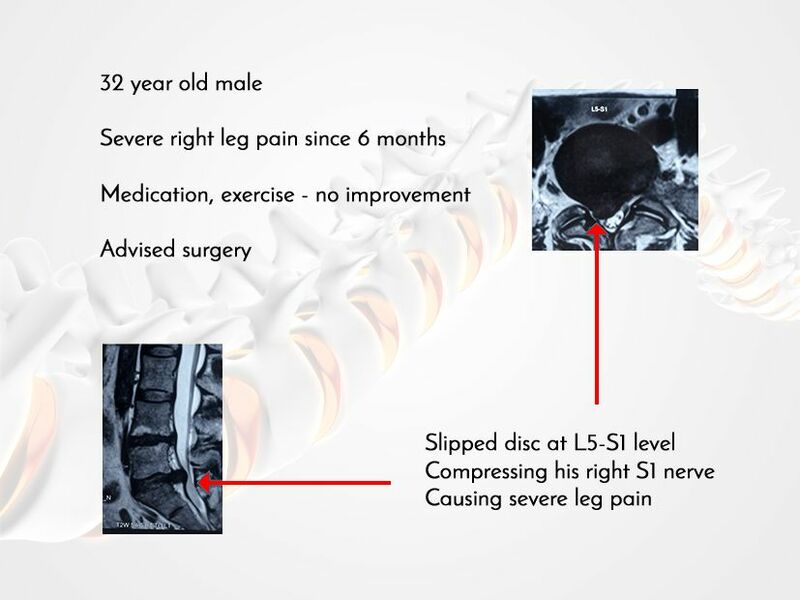 Other conditions like spinal stenosis, facet rhizolysis and spinal fusions are also treated using endoscopic techniques. 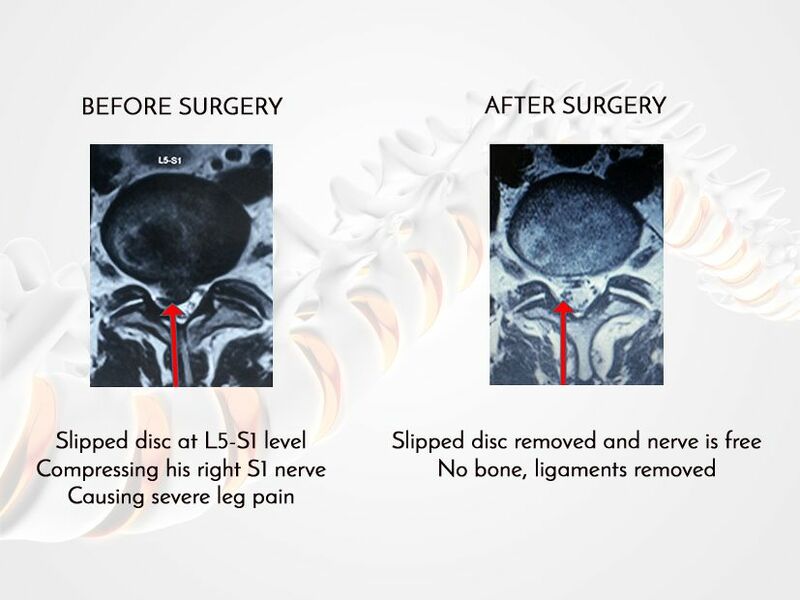 It is done either using an interlaminar approach or percutaneous transforminal approach. 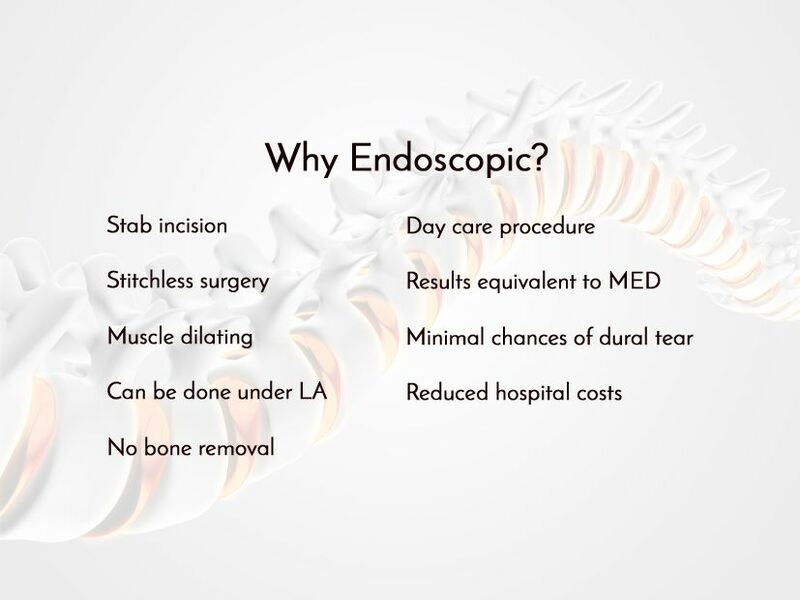 A single stab incision is taken and a 3.5- 4mm endoscope is inserted at the pathological level. 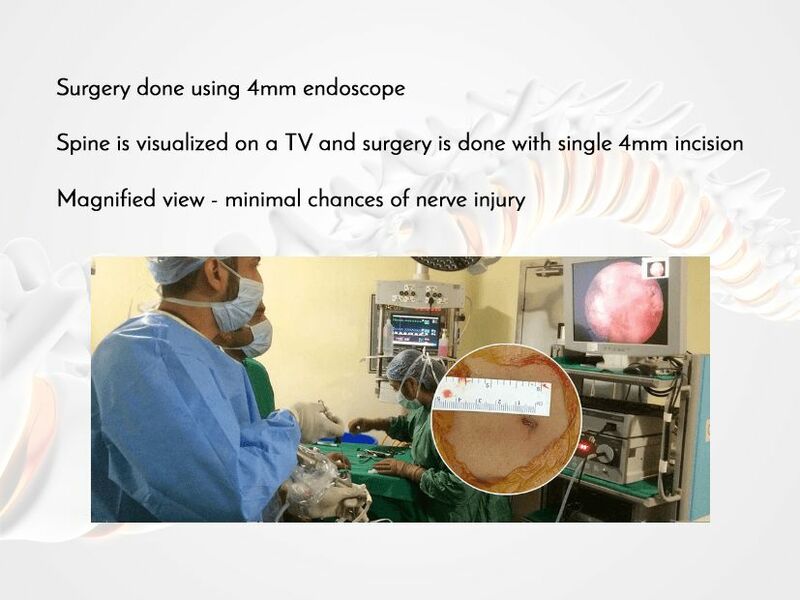 Whole surgery is done through this endoscope with visualization on a high definition TV . 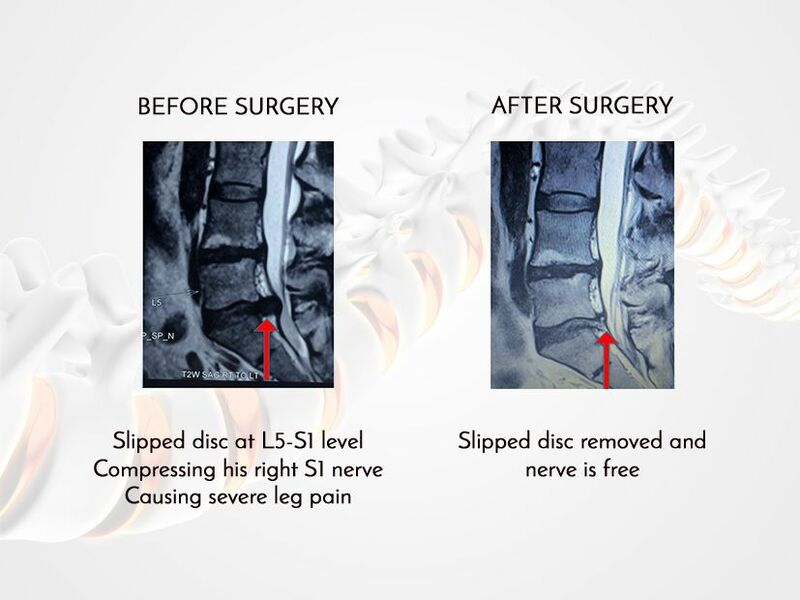 Transforaminal approach can be done under local anesthesia. 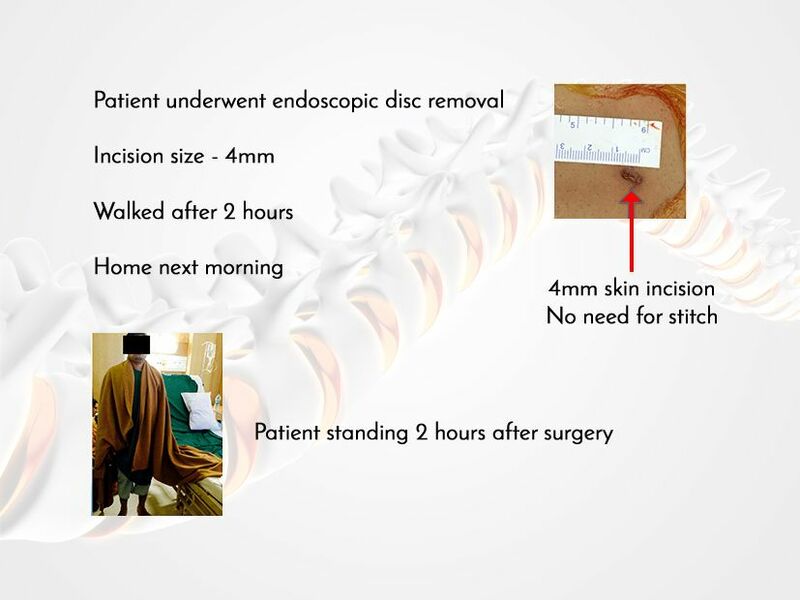 Patients are discharged the same day.